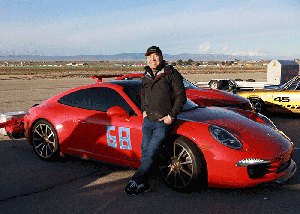 The Grand Prix Region was started by two former Los Angeles Region members, Tore Johnson and Ron Ramage. The two were dissatisfied with the lack of Track and Rally events in the LA Region, so in the late 70’s they decided to strike out and form a Porsche Club of competitive members. The estimated start date was about 1977 or 1978. Tore Johnson and others lived in Long Beach so naturally the meeting were held in the Long Beach area. Tore Johnson and and 5 other members needed to come up with a name for their new Region. The Long Beach Grand Prix had started in 1975 as a Formula 500 race on the streets of downtown Long Beach, so the Grand Prix Region was selected as the new name. 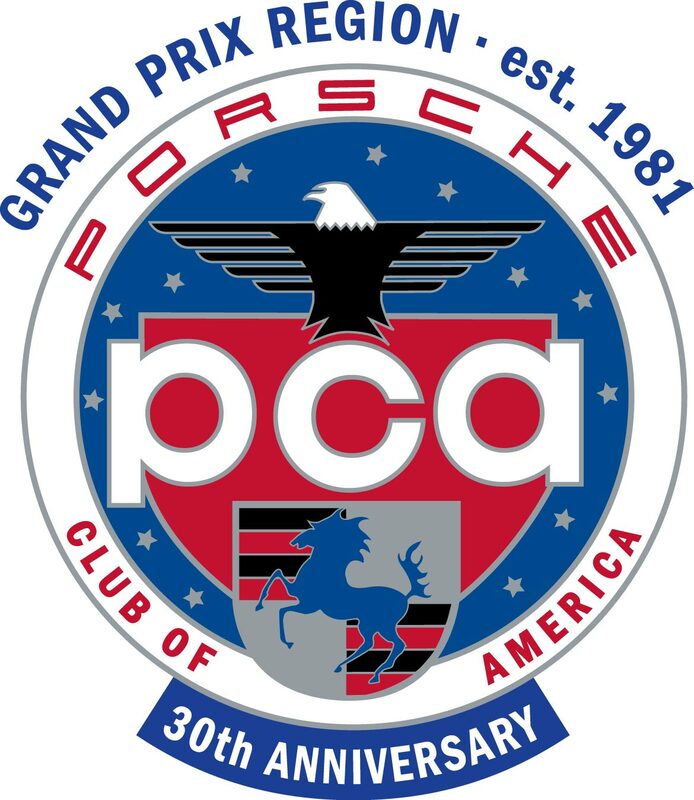 Tore petitioned Porsche Club of America (PCA) to start an expansion Region, but was denied because the minimum number for membership was not met. Tore began his campaign to recruit new members. He wanted members that would be active in the club so he was very selective. He had to convince new perspective members that this was the right thing to do, and that they would enjoy this club better. Eventually the numbers for a new region was met. The First President of the Grand Prix Region was Tore Johnson in 1980, but in an Acting capacity, as the Region’s Charter spearheaded by Tore, was still pending. 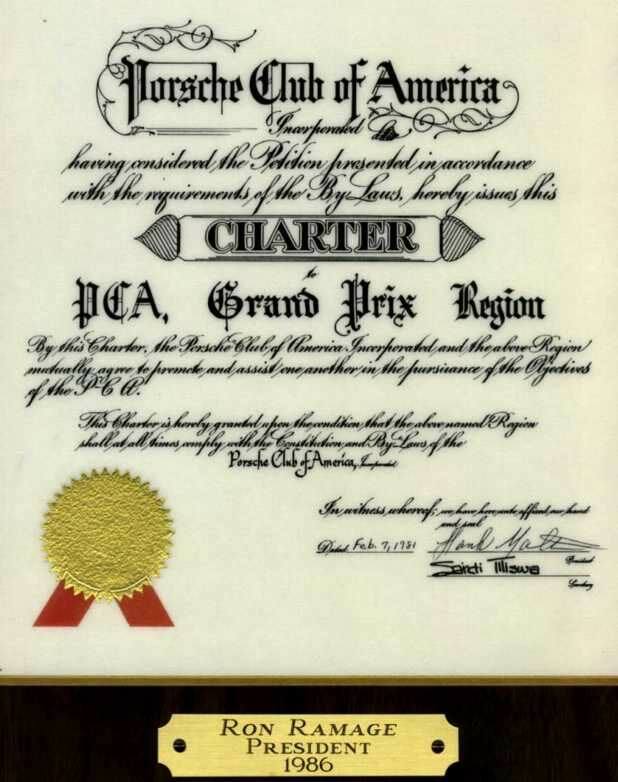 Peter Luelsdorf became the first President under the new Grand Prix Region Charter sign on February 7, 1981 and served for two years 1981-82. The meeting places at that time was a pizza restaurant (name to be identified) in Long Beach with 14 members attending. The Reef in 1984. Chart House, and the Glider End. Under the new Charter Tom Christianson became the Second President and served for one year in 1983. Ron Ramage became the third President and served for three years 1984-86 Tore Johnson the clubs founder became the fourth President and served for two years 1987-88. 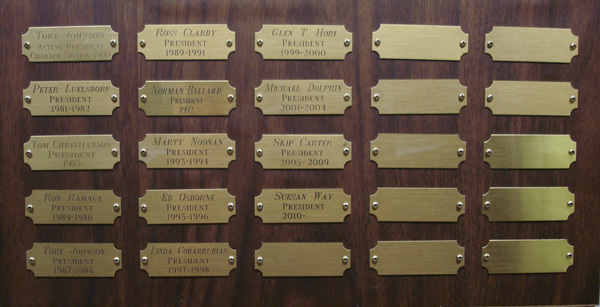 The following people became President Ross Clardy 1989-91, Norman Ballard 1992, Marty Noonan 1992, Ed Osborne 1995-96, Linda Corarribias 1997-98, Glen T. Hori 1999-2000, Michael Dolphin 2001-04, Skip Carter 2005-09, Suesan Way 2010-2016, Jeff Peck 2016 to present. Rally Events — The new club did a lot of Rallies as Ron Ramage was good at putting them together. GPX Logo — The original GPX Logo was from a picture of Ron Ramage’s 550 Spyder. Breakfast Club Meetings — Michael Dolphin started the Morning Breakfast Club Meetings in Redondo Beach. New President — When club attendance started to fall, the membership asked member Skip Carter to be President. Skip had previously been a member and president of the San Diego Region. 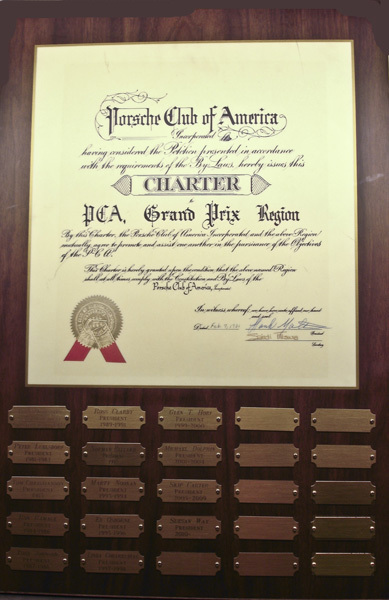 Anniversary — The Grand Prix Region celebrated it’s 30th anniversary on February 7, 2011.